Cloudways: What Coupons Are Available for Apr 2019? Cloudways is a relatively new hosting company that’s quickly become popular. They’ve done this with a unique approach to hosting, by essentially building their hosting packages on top of leading server providers like DigitalOcean, Linode, and AWS. It’s an easy solution for web developers who don’t want to take care of server maintenance and set-up. While it is geared towards web developers, Cloudways still offers 1-click deployment for popular content management systems (CMSs) like WordPress. If you sign-up using the Cloudways coupon below (more details further down), you can get 20% off of your first hosting invoice. If you’d like to learn more about the technical offerings of Cloudways, see our Cloudways review page. It’s really easy to miss the spot to put the Cloudways coupon code in. If you want to be sure that you don’t miss it, I’ve gone over the steps in more detail below with screenshots. First, you’ll need to go to the Cloudways website. There are multiple buttons on this page that say, “Get our Cloudways Deal”. But since there’s no automatic discount applied, you can also find Cloudways through Google. Cloudways makes it incredibly easy to sign-up. There are several “start free” buttons on all their main website pages. They all point to the exact same sign-up page, so click any of them. You can sign-up with an email account, or give authorization to your personal details through LinkedIn, Google, or Github. If you just entered your email, answer the 2 dropdown questions and then click the “Got a promo code?” link. That should make an input field appear beside the link, and you can enter in the promo code “WIHT20”. If you authorized through one of the 3rd party options, you’ll see a different, but similar form where you can choose a password. Again, answer the 2 questions and then click the “Got a promo code?” link. This will make an input field appear beside the link, and you can enter in the discount code “WIHT20”. If you typed in the coupon code correctly, a small green check mark will appear in the input. At this point, your coupon is applied, but you won’t pay until later on. On this final screen of the sign-up process, you’ll get to choose your hosting settings. Names for your app and project. During all of this, the price is shown at the bottom. When you’re ready, use the submit button to finish setting up your account. Your server will be deployed shortly (time depends on your exact settings). One unique feature that Cloudways has to offer, that very few other hosts offer, is being able to pay as you go. With most hosts, you pay for the month or year upfront. But since Cloudways offers flexible packages, and charges based on how many resources you use, that method doesn’t work. Instead, you use however many resources you need during the month, and then are invoiced after. Cloudways is one of the best overall web hosts I’ve ever tried. It’s incredibly flexible, reasonably priced, and has a great support team. The only time I wouldn’t recommend it is if you find it too complicated. If you aren’t quite sure what RAM or bandwidth is, you might be overwhelmed. WP Engine – Only offers managed WordPress hosting. The servers are high quality, and the support team is great. It’s also simple to get started with since there are only a few plans, and it’s obvious which one is right for you. Save over 30% with our WP Engine coupon code. SiteGround – Offers cheap shared hosting that is relatively simple to get up and running. They have a good knowledgebase and support team if you get stuck. The plans are easier to choose from, and are in terms of websites and visitors, rather than RAM and bandwidth. Save more with our SiteGround coupon. 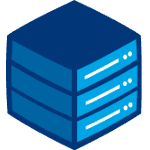 BlueHost – Nearly the opposite of Cloudways. Very basic and simple shared hosting for as cheap as you can find it. The performance won’t be nearly as good, and the support isn’t the same level, but it’s good for basic, low-traffic sites. You can save even more with our Bluehost coupon. Cloudways accepts all major credit cards, as well as PayPal. However, if you choose PayPal, you will need to contact live chat support for help sending a payment. They used to accept Bitcoin, but currently do not. Is there a minimum contract length you need to sign-up for? No, as there are no contracts. Since you pay as you go with Cloudways, you can cancel your plan at any time. Why wouldn’t I just host my web application on a server provider like Digital Ocean? It’s certainly an option to go direct to a server provider. It will be cheaper than Cloudways, which is the main benefit. However, then you’ll have to set up your server from scratch, and take care of backups and migrations. You may be forced to do this occasionally depending on your specific web application’s needs. Cloudways offers a managed service where they take care of almost all of the boring server set-up and maintenance for you, at a minimal additional cost. A firewall is set up for you, as well as SSL, automated backups, and application updates. Can I choose the cloud server my web applications are served from? Yes, when you set up a server, you can choose from several datacenters. Do you get root access to your server? One of the few potential weaknesses of Cloudways is that you do not get root access to your server. This is for security purposes, and to ensure that users don’t interfere with the processes and tools that Cloudway has built into your server. This is understandably a deal breaker for some developers. (Billed as $10 Per Month) ⓘPrices in are approximate, based on current exchange rates. The host will likely charge you in USD, or at a different exchange rate.